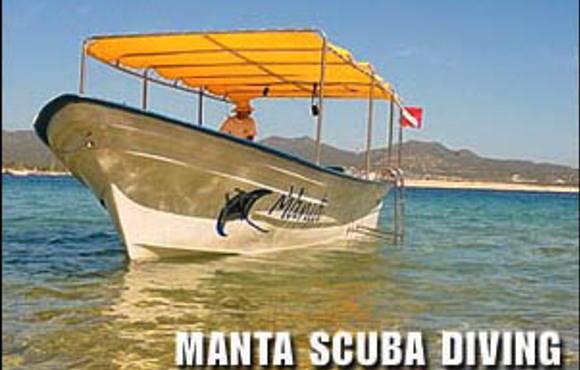 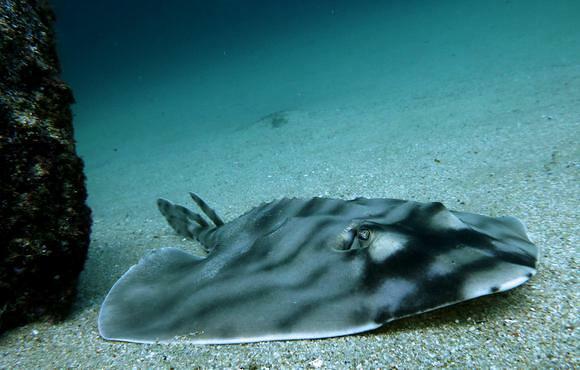 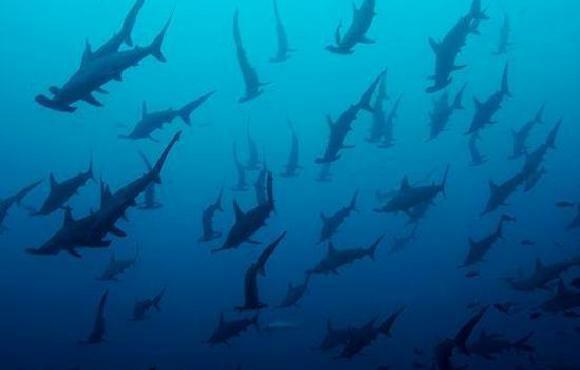 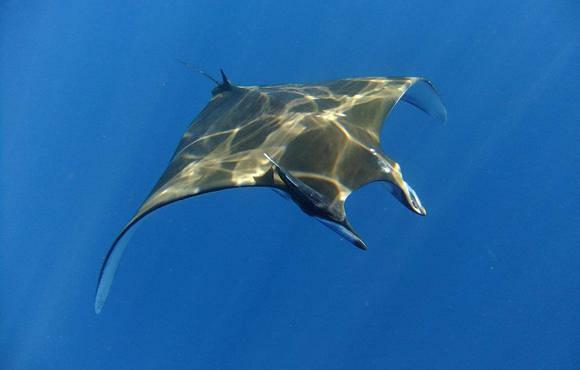 Manta Scuba Diving is a PADI Dive Resort located adjacent to the Cabo San Lucas Marina, on the southern tip of the Baja Peninsula, Mexico, where the Sea of Cortez meets the Pacific Ocean. 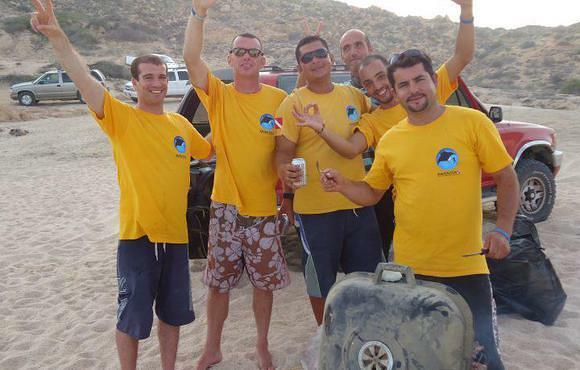 The dramatic desert landscape and beautiful blue sea create a contrast of unspoiled beauty found no where else. 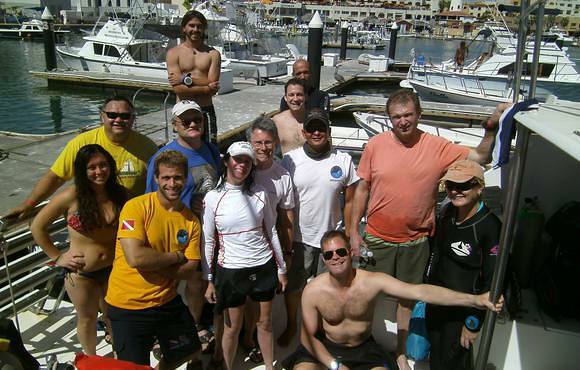 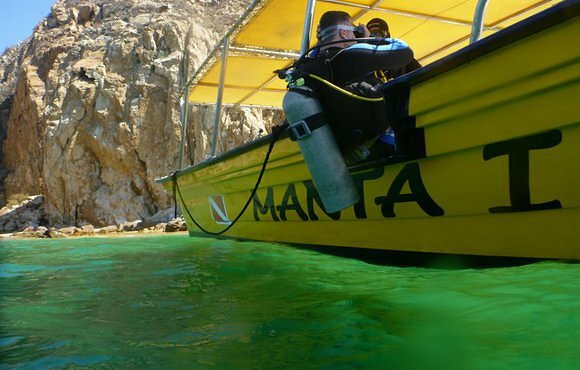 Manta Scuba runs daily dive trips to several regions in the southern Sea of Cortez from our dive shop in Cabo San Lucas, Mexico. 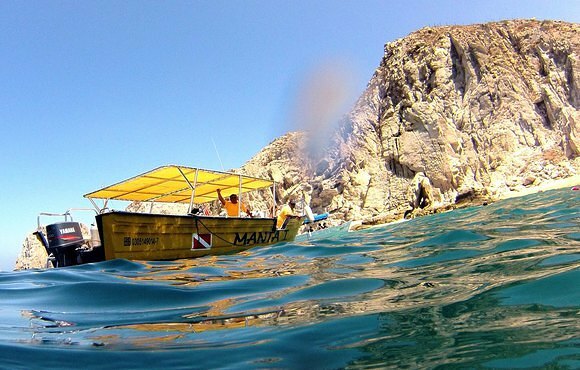 Our local sites are the Cabo San Lucas Marine Park and the Corridor sites are further away but still considered as half day trip. 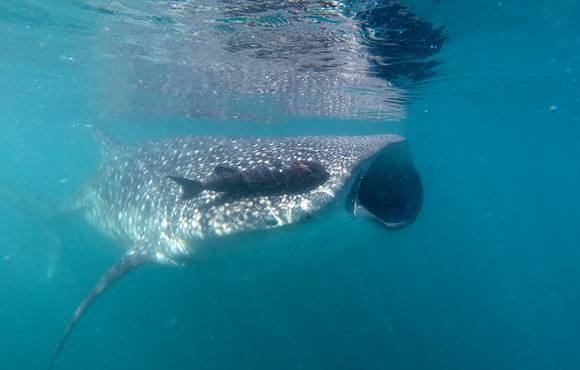 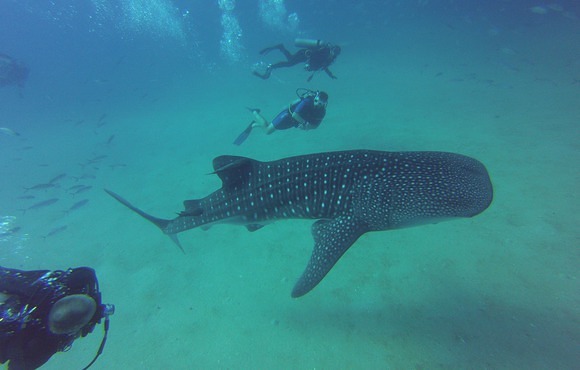 We also offer remote dive expeditions to Los Frailes and Cabo Pulmo, Gordo Banks, East Cape and even Whale Shark encounters in season. 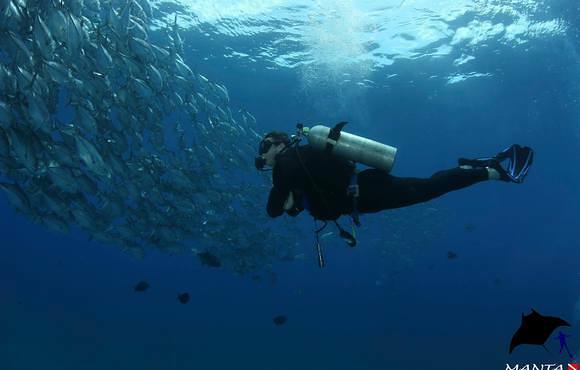 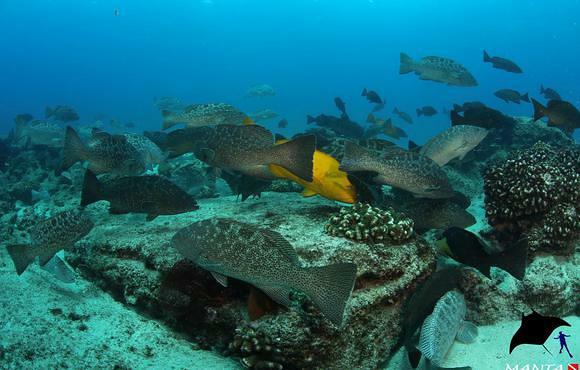 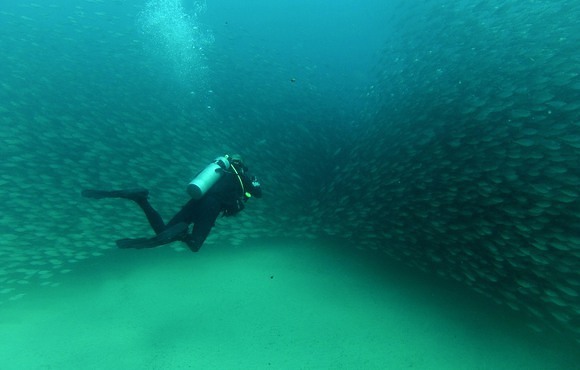 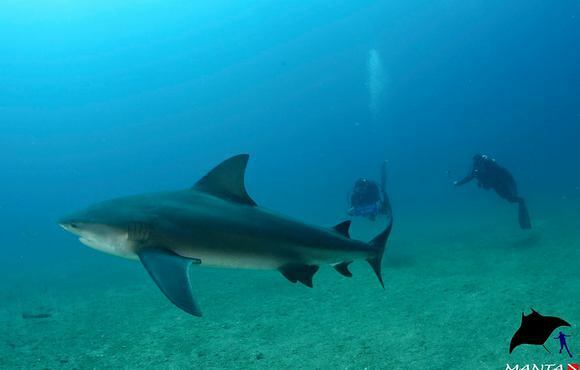 Diving in the Sea of Cortez is an unforgettable experience, with shipwrecks, caves, reefs, and sandfalls to explore. 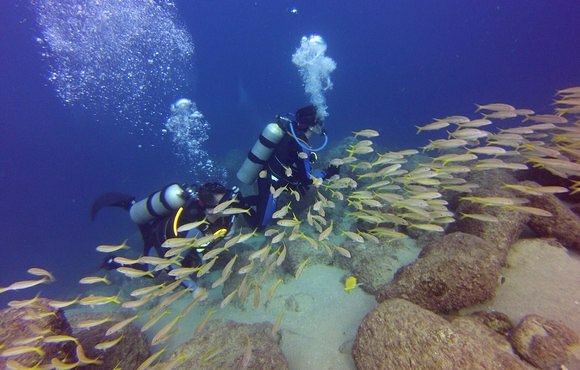 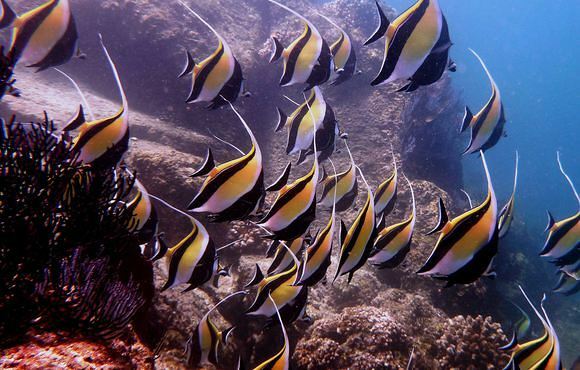 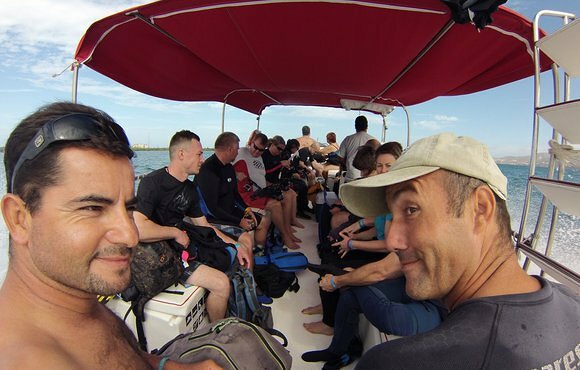 The wide variety of marine life and prime conditions make diving trips perfect for those seeking adventure travel.